Eggs. I used to despise the taste and texture of eggs. Slowly though, I have come to realize that the texture problem I had was because of the yolks, so I began to ditch those on most occasions, and the taste aspect? Who knew most restaurants (and sometimes my family) add milk and cheese into their scrambled eggs? No wonder I have a negative bias towards eggs, me being lactose intolerant and what not. No, eggs are not vegan (I do buy cage-free and free-range though), but they are packed with protein and have done me wonders this past week. Earlier this summer, my digestive system has been a wreck: always bloated and never satisfied. I attribute this to being a sugar addict. Something that I have known for years and years. I have tried to cope with it by eating more natural sugars found in fruits and sweet vegetables, but sugar is sugar and still sends my body into a sugar high craving more sugary, sweet things. Last year, I attempted to go on the “Sugar Detox Diet” where you detox from sugar by quitting cold turkey. It was painful. I had headaches and became irritable from missing sugar in my diet, so the “detox” did not last long as you can imagine. I was back to eating dark chocolate and buckets of fruit to satisfy my sweet teeth falling back into old habits. Last week though, I began a “fat shredder” eating plan. 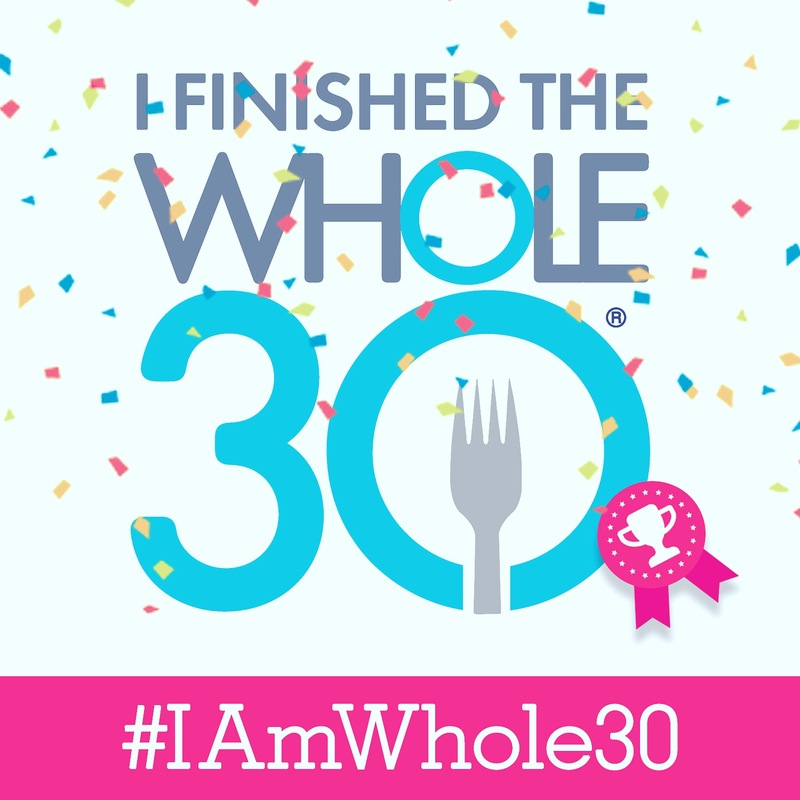 It had no promise of “sugar detoxification” or “no carbs ever” so I decided to give it a go because it seemed like a sustainable and healthy eating plan. 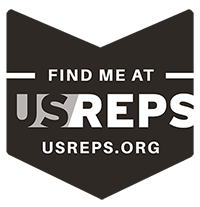 I know it has only been a week, but I am already seeing the cellulite disappear from my thighs, my face is clearing up, I am craving sugar less, feeling less bloated, and my workouts have become more efficient and rewarding. I know it seems like I have gotten off topic from “eggs,” but my new eating plan requires the majority of my macronutrients to come from protein, and being a pescatarian, my new go-to breakfasts are in fact, eggs. 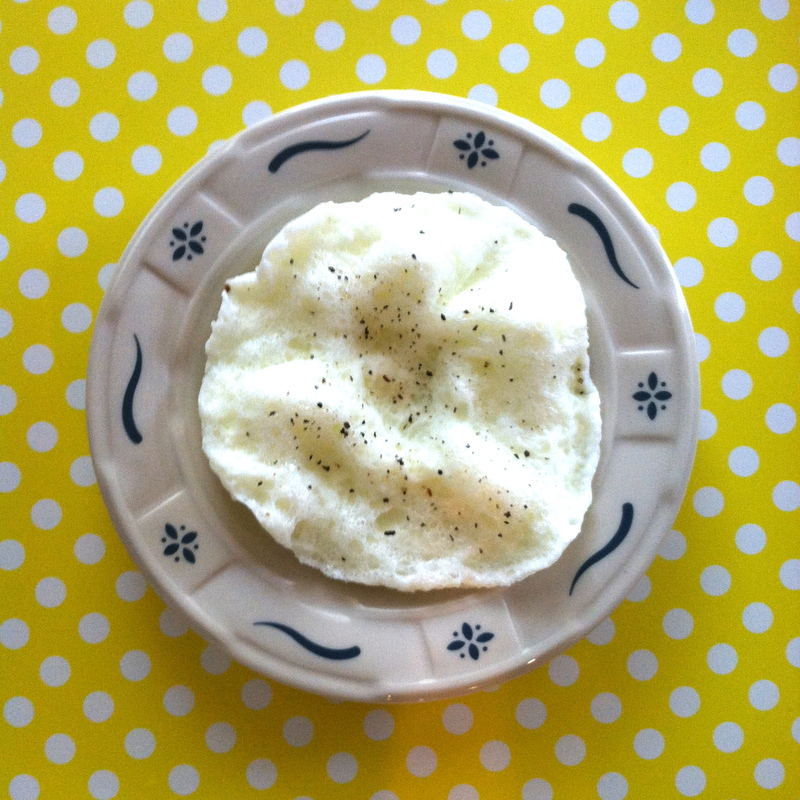 I have been eating eggs every morning instead of my usual fruit bowl. They are so versatile. Just this week I have had them microwaved (pictured above), in an omelet, scrambled, and even made Vegetarian Egg Muffins. Although I do prefer just the egg whites, I know that the yolks also contain some beneficial nutrients, so I add a yolk in from time to time. 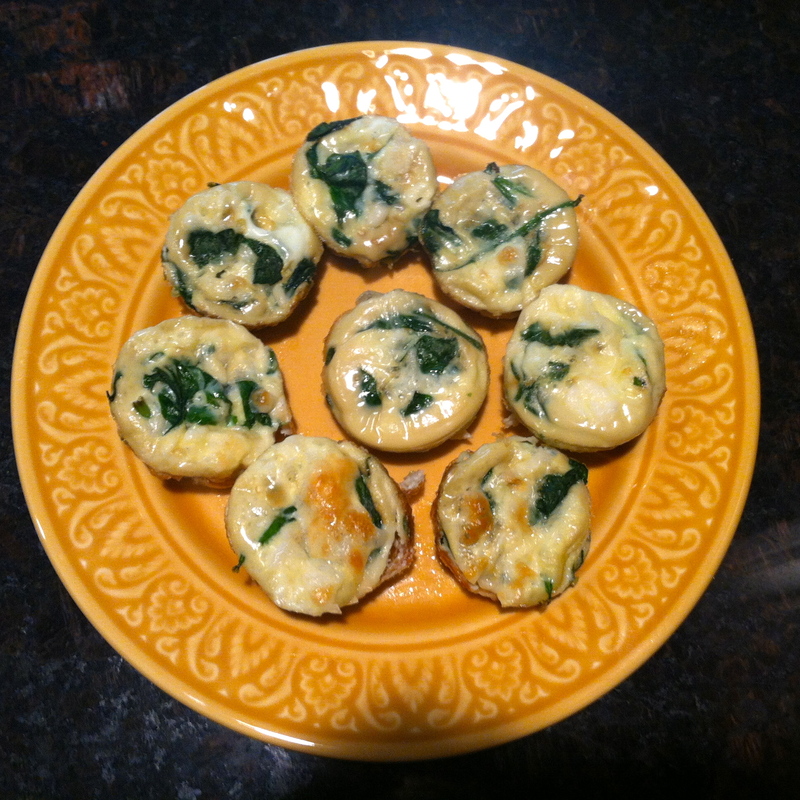 For example, my Vegetarian Egg Muffins have an added yolk to them to aid in the binding of the rest of the ingredients. ♦ ¼ cup water Pre-heat oven to 375°F. 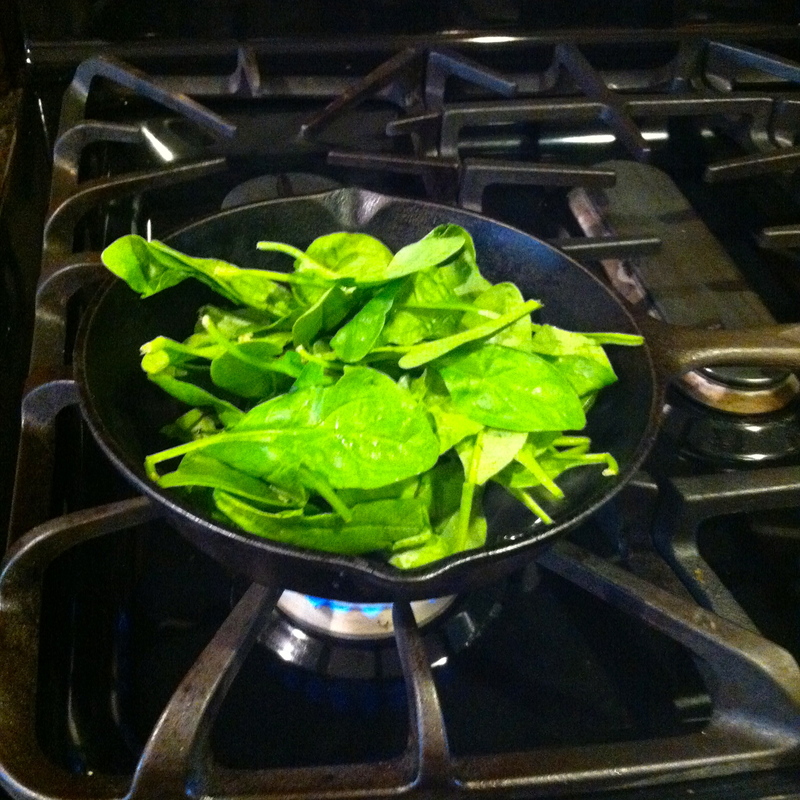 Add the water to an iron skillet over medium heat and toss in the spinach. Sauté the spinach until just barely wilted. Take off of the heat and drain the excess water. 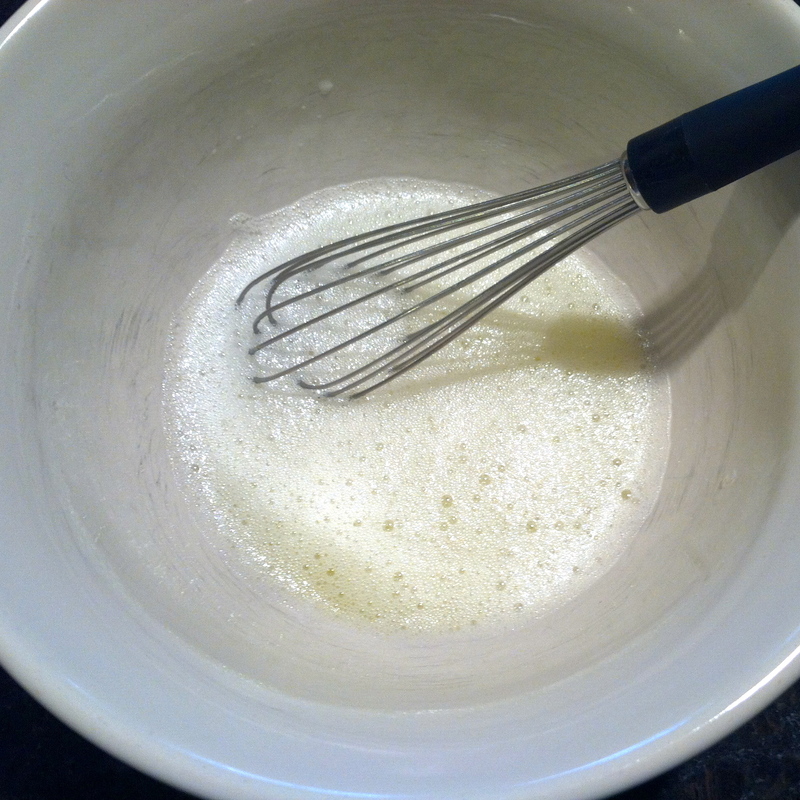 In a bowl, whisk the egg whites together. Add in the sautéed spinach and soy cheese (I used mozzarella flavor). When first making these, I tried to use just my egg whites. Then, I realized that the ingredients were not binding well, so I added another whole egg. After well-combined, add the egg mixture into a thoroughly greases mini muffin pan. My mixture fit comfortably into mini muffin pan that holds 8 muffins, but feel free to double or triple this recipe if serving more people.